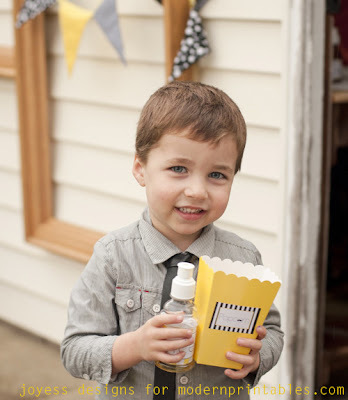 Do you remember this amazing Little Man party for Jess from Joyess Designs two-year old son? Well now you can buy the party printable pack in the Modern Printables shop! 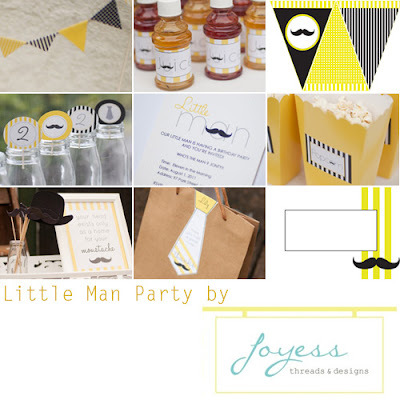 The party printable pack includes editable invitation, thank you cards, bunting banner, juice and water labels, popcorn labels, tented place cards, mini bunting/food flags, round toppers for cupcakes, garlands and envelope sealing, and photo booth sign and props. Great value and amazing design from Jess. Check out the whole party here. Get the printable pack here. I should have bought something like this last week, would have saved me a lot of effort!